As design manager for this project, I was tasked to develop the look and visual functionality of this Utility CRM product. The solution was an approachable interface that works on desktop and mobile devices to represent the company's interaction with current and future customers. In order for the desktop platform to translate nicely to mobile, a simplified and practical mobile version was designed to offer solutions that promote energy conservation through customer engagement. Dashboard tools, remote on/off smart home functions, assessment tools, bill monitoring and more where implemented into the design. My role included development and design of desktop product, responsive mobile version, creating illustration, icons, graphics and evaluation and modification of UX as needed. 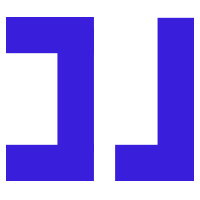 White label design personalization for individual partners such as EUC & PG&E. 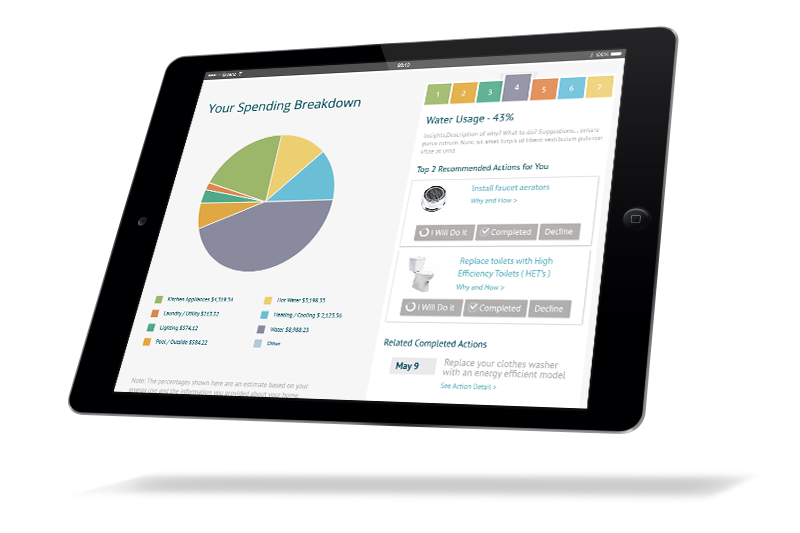 Created as a utility software tool, this consumer engagement platform works great on tablets. 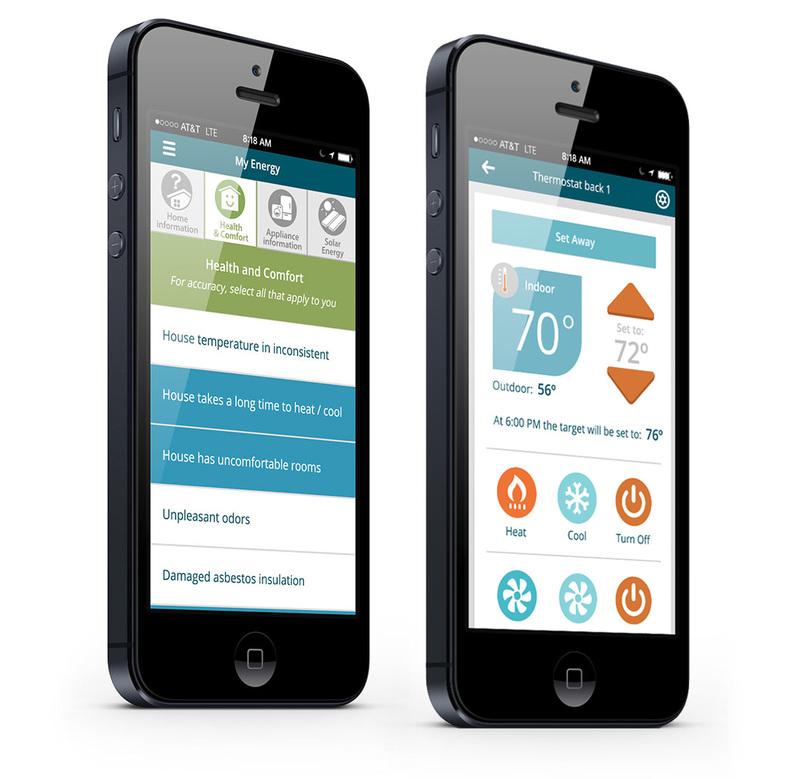 The interface helps boost customer participation with home energy efficiency programs and helps customers keep track of savings and contribute to the wellbeing of the environment.